South Africa is famous for gold and diamonds. There is so much gold and diamonds. 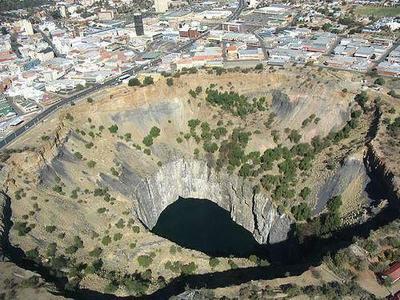 Kimberley is one of the places famous for diamonds. When a diamond mine was found in 1867, Kimberley was born. It was made by humans. I mean when the hole was made, machines were not used at all. Human desire made it. Join in and write your own page! It's easy to do. How? Simply click here to return to UEC South Africa forum.